(Adopts Rolf Harris voice) Can you tell what it is yet? It was, in fact, When Harry Met Sally. Yes kids, this week we watched our first bona fide rom-com (in spite of what the Big Book of Film said about Chungking Express) after an epic struggle to get hold of the DVD. A small group of fascists gathered at my new pad, and we were joined virtually by Comrade Richards for the early part of the evening by the power of technology, and by Comrade Grayson for the chin-stroking portion of the evening. Helpfully, Matt watched the film only a few weeks ago with his friend Sam, proving that it is the rom-com for people who don’t like rom-coms, men and women alike. The film tells the story of Harry Burns and Sally Albright over the course of 11 years, from when they first meet each other after college through the development of their friendship into their thirties. Harry and Sally are played by Billy Crystal and Meg Ryan, and has become a classic of the genre best known for that scene in the diner and for asking the question ‘Can men and women just be friends?’. The script for the film was written by Nora Ephron and was nominated for an Oscar for best original screenplay. We all agreed that there were some cracking lines in the film, and that this probably what makes it stand out from any number of imitations that came after in spite of it following a fairly classic rom com formula, that you could argue stretched back as far as Shakespeare (Taming of the Shrew, anyone?). Ephron went on to write and direct many more romantic comedies such as Sleepless in Seattle and worked with Meg Ryan on a number of occasions. Sadly, Nora Ephron died very recently and her memorial service was held today, so I like to think that we have given her our little fascist tribute by watching her film this week. 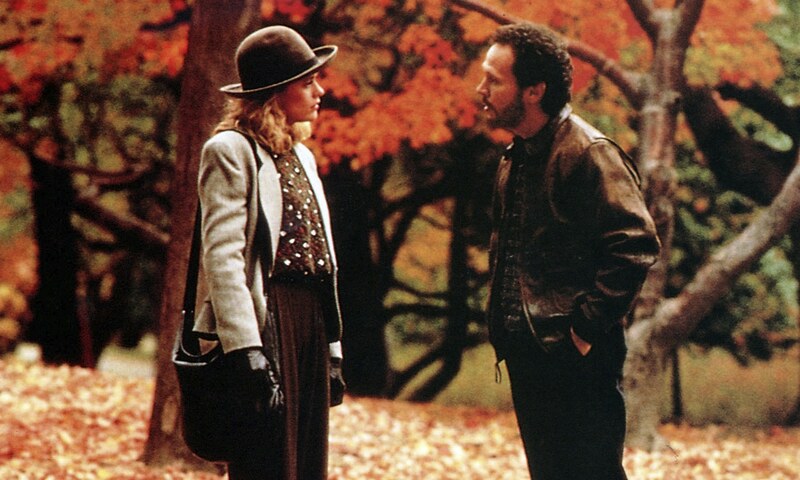 When Harry Met Sally is often considered to offer a more enduring and realistic take on modern relationships between men and woman than most rom coms, and the BBC came up with this interesting list of what we can learn about relationships from the film. Other viewers have not taken it all too seriously and have blessed the world with imaginings of WHMS as a horror film, WHMS as imagined by the Muppets, and what happened to Harry and Sally when they got old. I personally felt that all realism was lost when the film portrayed people in their early thirties living in enormous houses. I also felt inadequate and depressed, but that’s beside the point. The next MNFC in the diaries is the 20th July at Adam’s. However, Comrade Richards is all set to host and has a film at the ready, so she may well call a random LMFC (Last Minute Film Club) at any moment. Be ready! Until next time, my brothers and sisters. When you realize you want to spend the rest of your life as a fascist, you want the rest of your life to start as soon as possible.